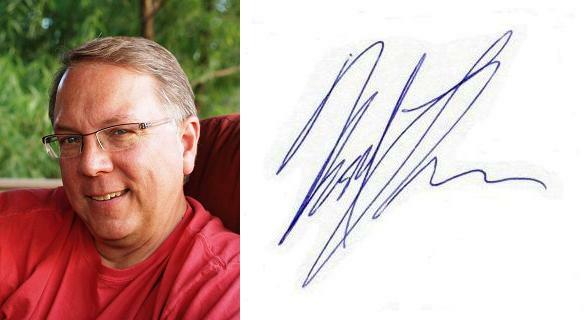 ← Is Freddy Krueger a Deck Builder in Des Moines? Deck Building During Des Moines’ Cold-Weather Months – Yes We Do! For lack of a better term, and despite the 70-degree temps we’re enjoying this November 8th as I write this, lets just call this period we’re moving into the “cold-weather months.” November, December, January, February…March starts to feel like and smell like Spring again. To be sure, we in the Des Moines, Iowa, climatic zone won’t be enjoying our outdoor living spaces as much as, say, folks a few latitudes south of here might be. Unless, of course, you have a 3- or 4-season room. Or, an outdoor fireplace in your screen porch might even do the trick at times. And, that grill in your outdoor kitchen on your deck or patio still cooks a pretty good meal year round, doesn’t it? So, its not a complete void of “outdoor living” during these months…its all an attitude. And we’re hardy Iowans, right? Plus, during the holiday season folks have many other things on their mind…and rightfully, joyfully so. So, I understand that its hard to think about “outdoor living” when its cold and snowy and Christmas-sy. 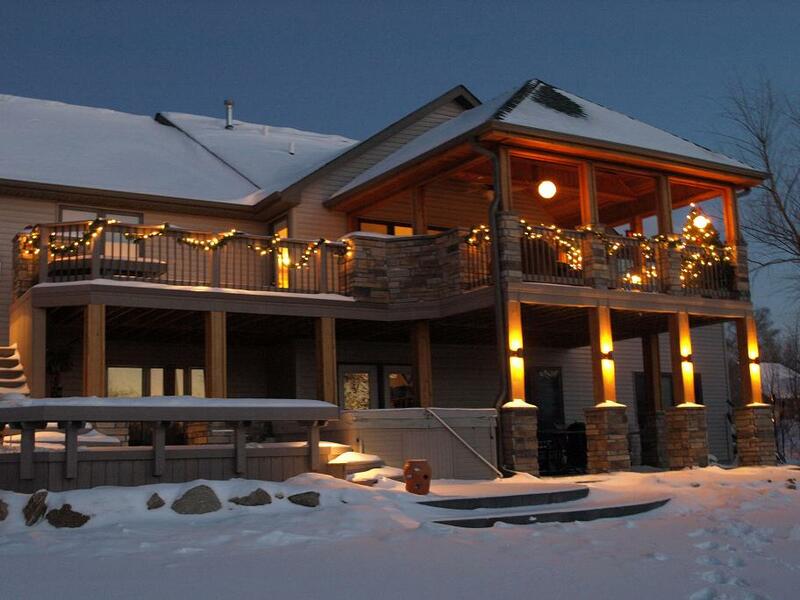 But, as an attitude – and as a business – Archadeck of Central Iowa thinks “outdoor living” year round. In fact, all of our Archadeck counterparts across North America do the same…including those in even more wintery climates than ours… Minneapolis, Madison, Chicago, Boston and, yes, even Nova Scotia and Calgary. 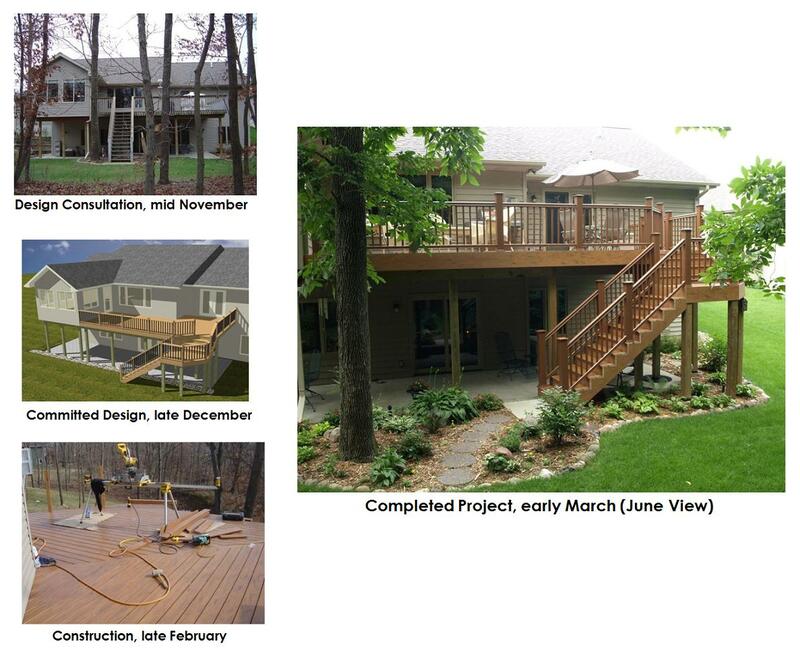 We design and build decks, porches, multi-season rooms and pergolas year-round. We do not hibernate for the Winter. We are here to serve your interests in improving your outdoor living spaces, rooms and accessories year-round. And…I can play Santa Claus (have actually done it). 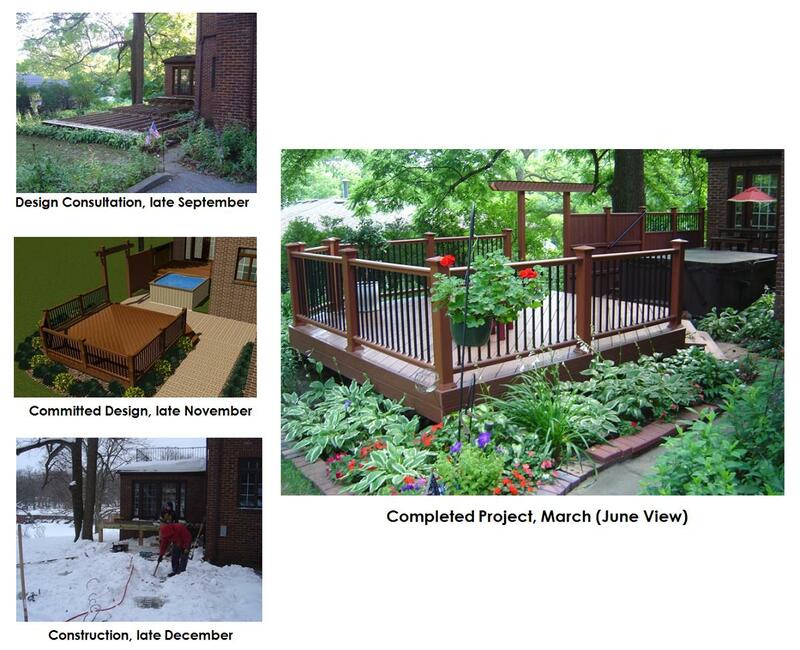 I would challenge you to consider these opportunities, particularly if you have a desire or need to have a new/improved deck or porch or multi-season room or pergola or outdoor kitchen ready for use early next Spring. Graduation Open Houses, Weddings and Drake Relays parties come to mind. Or, just good old-fashioned “Spring Fever.” On the other end of the surprise calendar, there are the similar surprised reactions I get from folks who call in April only to find that our construction queue is already booked out until June. Our complimentary on-site design consultations are offered year-round, in the warm comfort of your home. While there, I’ll bundle up and go outside and measure, assess and photograph your site for design reference. Our design process occurs in the warm comfort of our Urbandale office/showroom. We’ll invite you in to review our design and project recommendations…and serve a hot chocolate to go along with our servings of decking, railing, pergola and other product and accessory samples and examples. If you like our design and our approach to your project, a contract and deposit will get you locked into our construction queue…and ahead of the spring rush. If we need an ongoing effort to finalize your design (often the case with larger-scope projects), a smaller deposit will lock you in while we finalize that design. 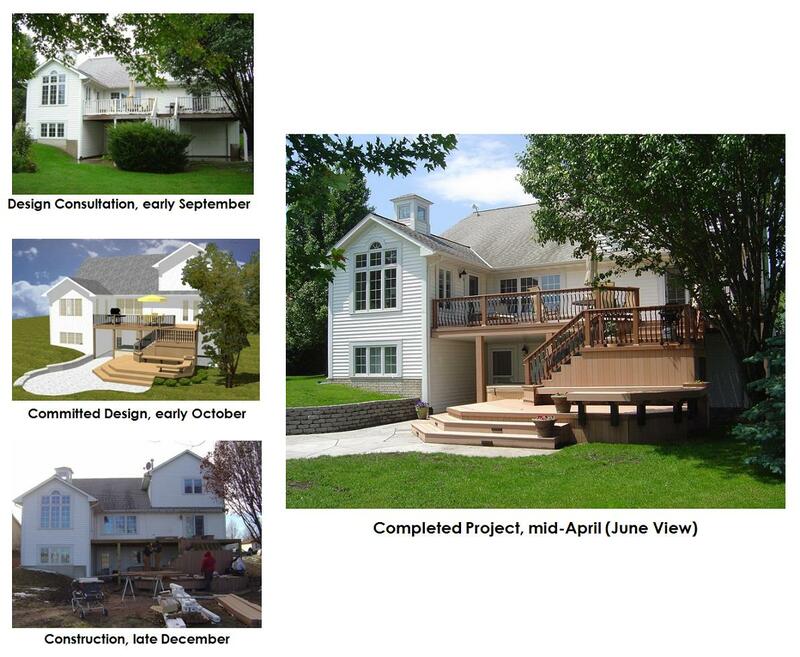 Once you’re into our construction queue, if your project is compatible and as/if Mother Nature cooperates, we can build your project during these “cold-weather months.” We do build year-round. Granted, its “weather permitting,” but, that’s true regardless of whether its rain or snow, winter or summer. The combination of snow and cold can contribute to longer delays and overall build times over the winter. But in the end, it can be completed sooner as opposed to waiting until April to call and starting the design/build process then. We won’t force a “cold-weather month” build, though. Some projects aren’t as conducive to that and Mother Nature may not cooperate. Or, maybe you have reasons for – or are just more comfortable – waiting for Spring. Either case is fine and we can adapt to what Mother Nature offers. But with your commitment, you’ll still be slotted be near the top of our construction queue (we do have some projects committed for Spring already) as soon as you and/or Mother Nature allow. Your design is just waiting to be built…rather than still floating around in some cold, snowy corner of your mind. So, I challenge you to think “Archadeck Outdoor Living” over the coming months and not wait until its 70-degrees to think about enhancing your outdoor living spaces. I challenge you to actually enjoy your new/improved outdoor living space, room or accessory the next time it is 70-degrees. Outside. Interspersed throughout this post are pictures of some of our clients who’s projects were either designed and/or built during prior “cold-weather months.” And enjoyable for the whole of the next outdoor living “season.” Thats the excellent opportunity so many people overlook. Take advantage of this opportunity while its…cold! Put the heat on Archadeck of Central Iowa to design and build one of our custom outdoor living spaces, rooms or accessories for you over the coming “cold-weather months.” See our Special Offers page on our web site for more details. This entry was posted in 3-Season Rooms, 4-Season Rooms, Decks and Decking, Open Porches, Outdoor Kitchens, Outdoor Living, Patios, Pergolas, Porches, Screen Porches, Sunrooms. Bookmark the permalink.